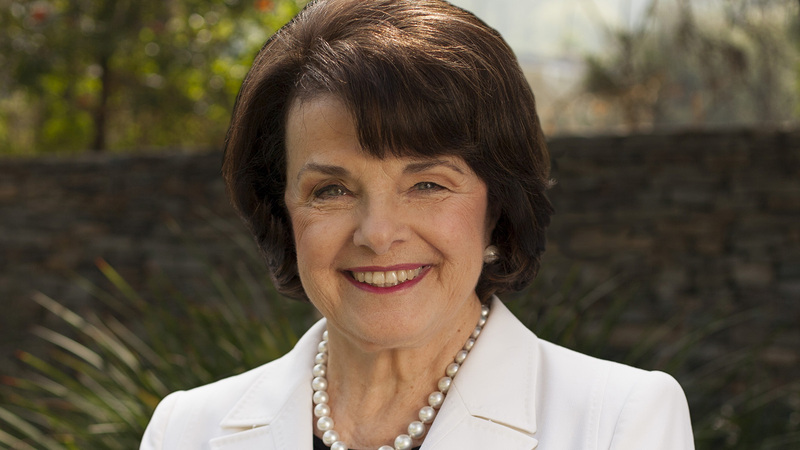 A longtime JAC friend, Senator Feinstein is a fierce supporter of a strong U.S.-Israel relationship. Her record is in accord with JAC's issues: she is a passionate defender of reproductive rights, separation of religion and state, was the original author of the assault weapons ban passed in 1994, and has subsequently reintroduced it in the Senate. Click to learn more. Senator Murphy has been a good friend of JAC and a strong supporter of our issues. He is committed to a strong U.S.-Israel relationship and supports a two-state solution. He strongly supports reproductive rights and has voted against legislation that would have banned abortion. 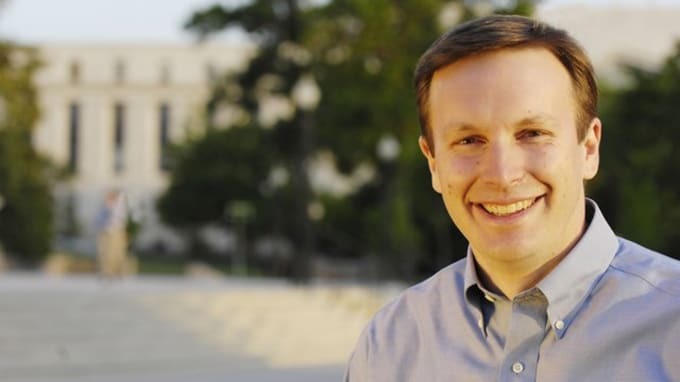 He is also a strong proponent of common sense gun violence prevention legislation and has introduced a number of bills since the shooting at Sandy Hook in his home state of Connecticut. Click here to learn more. A longtime friend of JAC, Senator Carper has a long record of supporting all of JAC’s issues. He supports a strong U.S.-Israel relationship, as well as partnership between the two nations in areas of energy, water, agriculture, and alternative fuel technologies. With a 100% rating from NARAL Pro-Choice America, he has fought against attacks on Roe V Wade, contraception, and Title X in the Senate. Click here for more information about Tom Carper. Bill Nelson served six years in the U.S. House before being elected to the Senate in 2000. He spent six days orbiting the Earth aboard the space shuttle Columbia in 1986. A long-time JAC friend, he supports Planned Parenthood funding and the ACA contraception provision. Bill is a co-sponsor of the Senate's assualt weapons ban. Click here for more information about Bill Nelson. Mazie Hirono is running for reelection to the U.S. Senate to in hopes of continuing her resistance to the Trump administration’s attacks on our core values. After being diagnosed with kidney cancer in 2017, Hirono understands the importance of access to quality and affordable healthcare. During her time in office, she worked to pass the Affordable Care Act and has continuously fought to protect a woman’s right to choose. Hirono is endorsed by both EMILY’s List and Planned Parenthood. Click here for more information about Mazie Hirono. Elizabeth Warren was the first woman from the state of Massachusetts to be elected of the U.S. Senate. Warren has consistently fought for women's reproductive rights, gaining her a 100% ratings from both Planned Parenthood and NARAL Pro-Choice America. She has vowed to protect the U.S. and Israel's vital relationship and has been a passionate advocate for greater accountability in weapons sales and the passage of common sense gun legislation. Click here for more information about Elizabeth Warren. Ben Cardin is a proven pro-Israel Democrat who has emphasized the importance of a strong U.S.-Israel relationship, and has countered pressure on companies to boycott, divest from and sanction Israel. Cardin is a supporter of woman’s health and wellbeing, and has stood up against President Trump’s dangerous healthcare policies on behalf of American women. After the school shooting in Parkland, Florida, Cardin demonstrated his support of a ban on military-style weapons, implementation of universal background checks, and devotion of additional resources to treat mental illness. Click here for more information on Ben Cardin. Debbie was the first woman from the State of Michigan elected to the U.S. Senate, and has since been a passionate leader in protecting women’s basic reproductive rights and access to healthcare. She has been endorsed by NARAL pro-choice America. Stabenow played a leading role in making positive reforms to healthcare and to improve our nation’s mental health system. Stabenow has vigorously supported the welfare, security, and survival of the State of Israel as a Jewish and democratic state with secure borders and has been a strong friend of JAC. Click here for more information about Debbie Stabenow. Claire McCaskill became the first woman elected to the U.S. Senate from Missouri and has been a JAC-supported candidate since that election. She has consistently voted yes on reproductive rights and family planning issues. Claire has also supported efforts to broaden background checks for gun sales and efforts to stop suspected terrorists from legally buying guns and explosives. Click here for more information about Claire McCaskill. Amy Klobuchar was the first woman to be elected as a Senator from Minnesota. Since her election in 2007, she has continued to be a champion for women and our right to make our own reproductive decisions. She has also been a vital voice for the protection of Israel as a Jewish and Democratic State. She constantly votes down harmful gun legislation, and stands strongly behind any bills that help rid our country of gun violence. JAC strongly supports this long-time JAC friend for Senate. Click here for more about Amy Klobuchar. Tina Smith was appointed to fill out the term of former Sen. Al Franken. She is focused on continuing the progressive legacy of the seat she holds. Prior to being appointed to the Senate, Tina served as the Lieutenant Governor of Minnesota. She was named oe of the top 25 most influential women in state politic by CQ-RollCall. Tina is 100 percent pro-choice. Click here for more information about Tina Smith. Former Congressman and former Secretary of Agriculture, Mike Espy is running for the seat of retiring Senator Thad Cochran. He has a proven record of supporting a strong U.S.-Israel relationships and believes that women should have the right to make their own health decisions. He is currently running for a seat that has been in GOP control for over 25 years. Click here for more information about Mike Espy. Jon Tester has been a great friend to JAC, showing strong support and committment to the U.S.-Israel relationship, including introducing a resolution to strengthen the U.S.-Israel economic relationship. He has been a passionate advocate for women's reproductive rights, including cosponsoring the Women's Health Protection Act. He has stood up for women in the private and public sectors, noting that equal work should have equal worth. Click here for more information about Jon Tester. 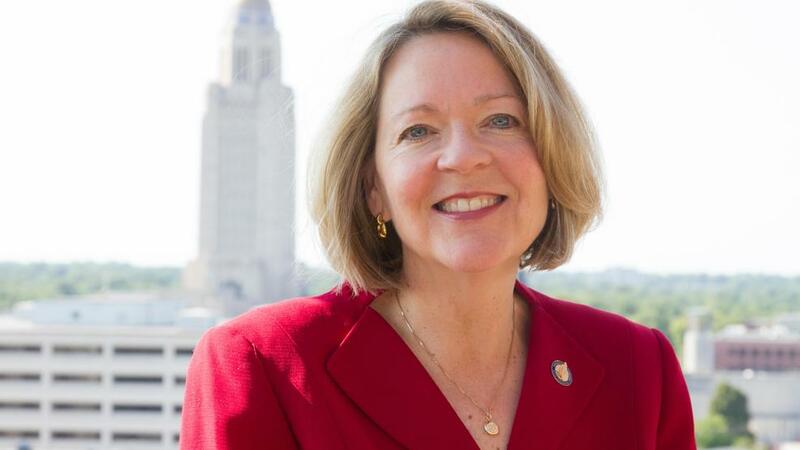 Jane Raybould is motivated to fight for Americans in the U.S. Senate. A city councilwoman and businesswoman, Jane believes that women should have power over their own reproductive health decisions, citing that politicians cannot regulate people. She is a strong advocate for U.S.-Israel relations and military security. Her personal experience as a business owner has instilled in her a passion for creating jobs and growing small businesses. Click here for more information about Jane Raybould. Martin Heinrich is a long-time JAC friend and supporter of our issues. He believes in the 'unbreakable bond' between the U.S. and Israel and believes the U.S. has an integral role in negotiating a two-state solution. He is a strong supporter of a woman's right to make decisions about her own health, earning a 100% rating from NARAL Pro-Choice America. Click here for more information about Martin Heinrich. Jacky Rosen was the first Jewish woman to win her Congressional race to represent Nevada's 3rd district. She is now running for the Senate, hoping to defeat one of the most anti-choice Senators. She served as former president of Nevada's largest synagogue. Jacky strongly believes that women's health care decisions are personal, and that government has no place in deciding what's best for a woman and her family. Click here for more information about Jacky Rosen. Kirsten Gillibrand has been a fierce advocate for women's reproductive rights, earning a 100% rating from NARAL Pro-Choice America and Planned Parenthood. She fought for contraceptive insurance coverage and sponsored the Protect Women's Health from Corporate Interference Act, which would prohibit employers from using their religious beliefs to deny healthcare coverage for contraceptives. She has been championed for her notable efforts to combat sexual harassment, particularly in the public sector. 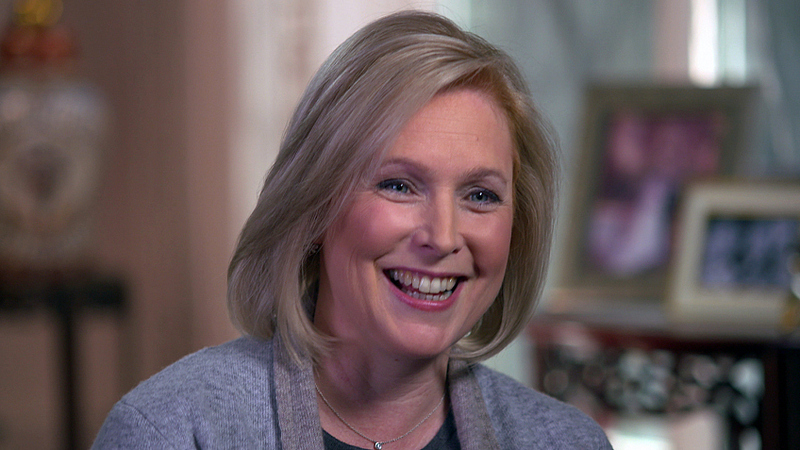 Click here for more information about Kirsten Gillibrand. Sherrod Brown has a perfect record on JAC issues. He won his Senate seat in 2006 with one of the largest margins over an incumbent in U.S. history. During his tenure in the U.S. Senate, and before that in the U.S. Congress, he has worked hard to protect women's reproductive rights and to strengthen the U.S.-Israel relationship. He has sad, "None of us is powerless. It's past time that we start a sensible dialogue about gun safety in our communities." Click here for more information about Sherrod Brown. 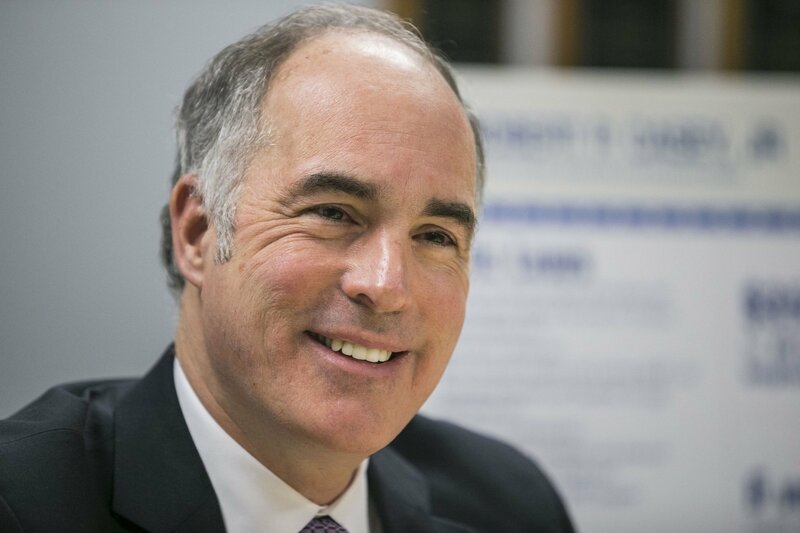 Bob Casey is a longtime JAC friend and has been a strong advocate for crucial U.S.-Israel relations, vigorously supporting the survival and security of the State of Israel as a Jewish and democratic state. He cosponsored the Combatting BDS Act of 2016, and has signed onto various policies to pressure other countries in the Middle East to end their boycotts of Israel. He has also been an advocate for women's rights in the workplace and access to contraceptive care. Click here for more information about Bob Casey. 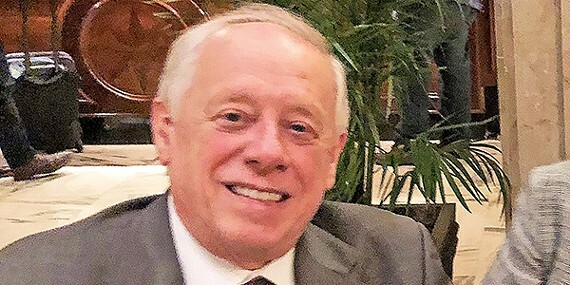 Phil Bredesen is the former popular governor of Tennessee. He earned a reputation for getting things done by working across the aisle. Tennessee has not had a Democratic senator in 24 years. His committee to safeguarding women’s reproductive rights. He supports the unwavering friendship between the U.S. and Israel and he will work to strengthen that bond. Click here for more information about Phil Bredesen. Sheldon Whitehouse has been a strong JAC ally, supporting our core issues throughout his time in the Senate. He has vigorously supported a strong relationship with Israel in a variety of areas that benefit both the U.S. and Israel. He has been a key advocate for women's reproductive liberties, gaining him a 100% rating from both NARAL Pro-Choice America and Planned Parenthood. Click here to learn more about Sheldon Whitehouse. 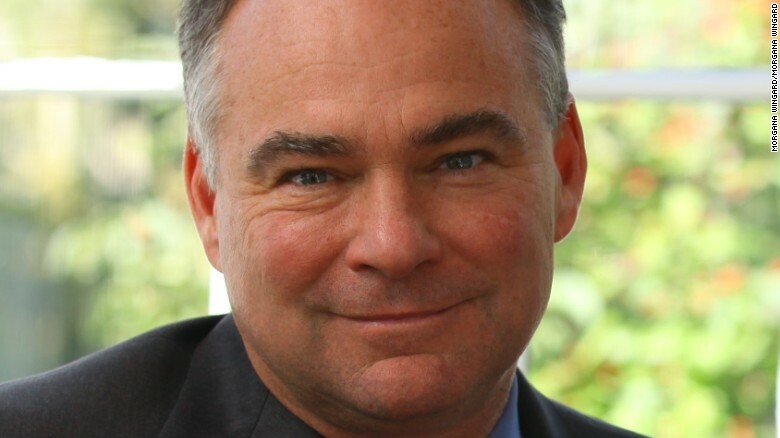 Tim Kaine served for four years as the governor of Virginia before being elected to the U.S. Senate in 2011. He is one of just 20 Americans to serve as Mayor, Governor, and Senator of their community. Since his election to the Senate, Senator Kaine has been a strong supporter of JAC's issues, cosponsoring legislation to reaffirm U.S.-Israel relations and activities, as well as holding 100% rating from both NARAL Pro-Choice America and Planned Parenthood. Click here for more information about Tim. Kaine. Maria Cantwell has been a fierce JAC ally in her nearly 20 years in the Senate. She has been unwavering in her support for Israel during her time in the U.S. House and Senate. She is a champion of reproductive rights, supporting contraception coverage in the ACA, increasing funding for Title X programs, and cosponsoring bills that would allow employers to determine what insurance coverage to provide based on the employer's religious beliefs. Click here to learn more about Maria Cantwell. Tammy Baldwin has a strong connection to the State of Israel, growing up in a Jewish home and visiting for the first time at the age of 6. Since being elected to the U.S. Senate, she has supported a strong U.S.-Israel relationship. She is also a fierce advocate for women's reproductive rights, sponsoring several influential bills that have earned her 100% ratings from both NARAL Pro-Choice America and Planned Parenthood. 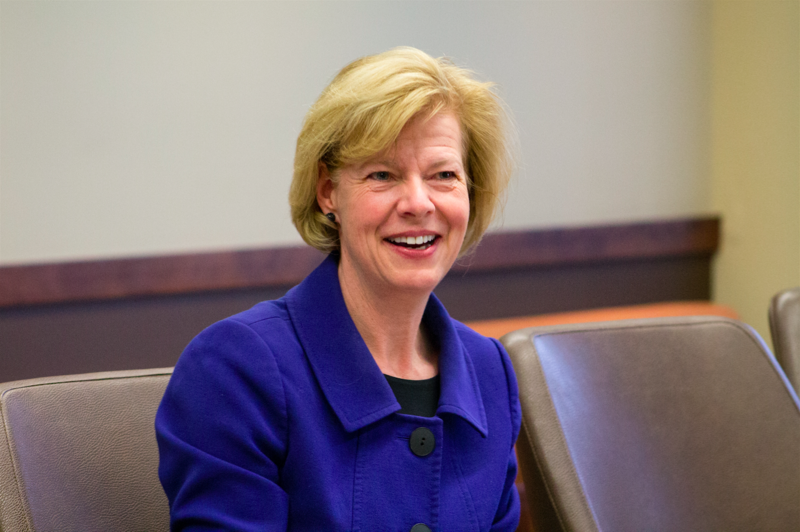 Click here to learn more about Tammy Baldwin. Ann is proudly pro-choice and has always been an advocate for enduring all women have access to the healthcare they need. Responsible gun ownership is a part of Ann’s heritage; despite being a gun owner herself, Ann believes in common-sense gun laws, and has co-sponsored legislation to strengthen background checks and prevent guns from getting into the hands of criminals and the mentally ill. Kirkpatrick has traveled to Israel herself, and is committed to the unbreakable U.S.-Israel bond. She is running to take back the seat she held in Congress. Click here for more about Ann Kirkpatrick. Greg Stanton is the former Mayor of Phoenix who spent his term forging better relationships with Israel and women. He traveled to Israel multiple times and forged an economic partnership between Israel and Phoenix that has led to 13 years of economic and cultural exchange. Domestically, he has worked closely with women to help better their access to reproductive and healthcare services. His belief that Church and State must always be separated makes him a valuable voice for JAC’s issues in Congress. Click here for more about Greg Stanton. Ami Bera has spent over two decades in the medical field, so he understands that a woman' health decisions shoul dbe between her and her doctor. He stands with Planned Parenthood's important role in providing health care to women. His position on the Foreign Affairs committee allows him to play an integral rol in strengthening our relationship with Israel. He also uses his medical background to address the issue of gun violence as a national public health crisis. Click here for more about Ami Bera. Jackie Speier began her congressional career working for Rep. Leo Ryan. Ryan, Speier and other staff traveled to Jonestown, Guyana to rescue constituent victims of the cult run by Jim Jones. Speier was shot 5 times in the attack and Ryan was killed; she decided while recovering in the hospital the best way to be a survivor was to work for the people, so she ran for Ryan's open seat and won. Jackie has been a passionate advocate for JAC issues throughout her career, being both strongly pro-choice and a strong supporter of a committed US-Israel Relationship. Jackie is also a strong advocate for the protection of Net-Neutrality and gun violence prevention. Click here for more about Jackie Speier. Eric Swalell is seeking reelection in order to continue to fight for common sense gun legislation. He understands the need for immediate change, and has cosponsored over a dozen gun violence prevention bills in the last three Congressional sessions. Along with his commitment to protecting the people from gun violence, he is also committed to protecting women’s reproductive rights. He consistently introduces legislation aimed to improve women’s access to abortions, contraceptives, and equal pay. His understanding of the importance of the U.S.’s relationship with Israel makes him an important voice in Congress. 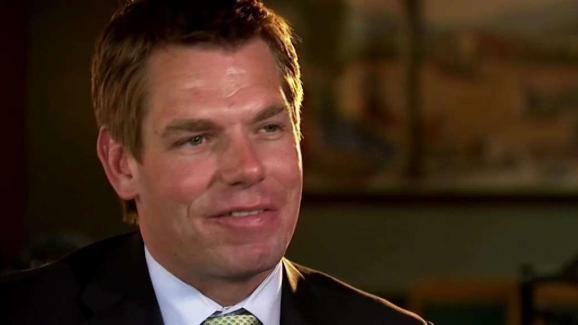 Click here for more about Eric Swalwell. Representative Julia Brownley began her career in government because she wanted to help children and families receive better resources in local schools; for the past 15 years, Julia has been a powerful advocate for people both in and out of her home state of California. Julia is strongly pro-choice and has been one of Congress’s foremost advocates for women. Most recently her bill to protect female veterans passed on the house floor. Julia has also sponsored and supported a number of bills on Israel, protecting their military advantage. Click here for more information on Julia Brownley. Representative Adam Schiff has been a democratic leader in Congress for nearly 20 years. Adam is a key advocate for JAC issues, supporting Israel and fighting for women’s reproductive rights. Adam has been a key voice on national security, an advocate for civil rights and has been instrumental in the Russia investigation, drafting the democratic response to the Nunez memo. 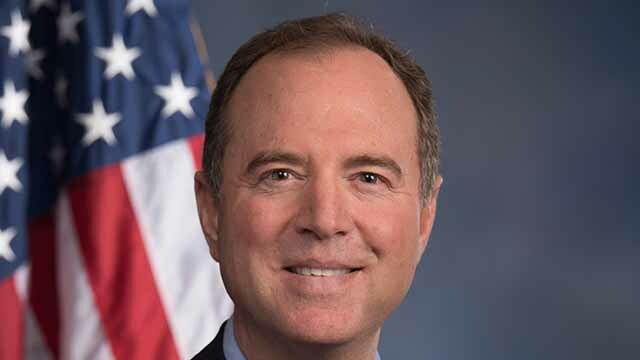 Click here for more about Adam Schiff. Linda Sanchez has been a champion of JAC’s ideas in Congress for over a decade. She has consistently voted down legislation that is harmful to both Israel and women’s reproductive rights. She stands up to any harmful attacks on both of these two important topics. Congress needs more voices like hers, and JAC is proud to support her. Click here for more about Linda Sanchez. Representative and former emergency room doctor, Raul Ruiz began his career in advocacy by starting a pre-medical mentorship program in the Coachella Valley due to a physician shortage in the region. After the program created a lasting impact, Raul knew he could make a change in Congress. Raul has been a strong advocate for Israel and has 100% ratings from both NARAL and Planned Parenthood. Click here for more about Raul Ruiz. Mike Levin vows to fight for women’s rights. He promises to defend Planned Parenthood and a woman’s right to choose. He is committed to solving the gun violence epidemic and supports the assault weapon ban and expanding Brady background checks. He continues to emphasize his support for a two-state solution, and engaging Jewish voters who care about peace in the Middle East. Click for more information about Mike Levin. Diana DeGette is seeking reelection to serve her 12th term in the U.S. House of Representatives. Throughout her long career in the House, she has been a strong supporter of Israel and the two-state solution. She has been adamant in her support for women's reproductive rights and has always spoken out against the anti-choice agenda in Washington, DC. She has used her position on the Energy & Commerce committee to make sure solving the gun violence epidemic awlays says on the agenda. Click here for more about Diana DeGette. 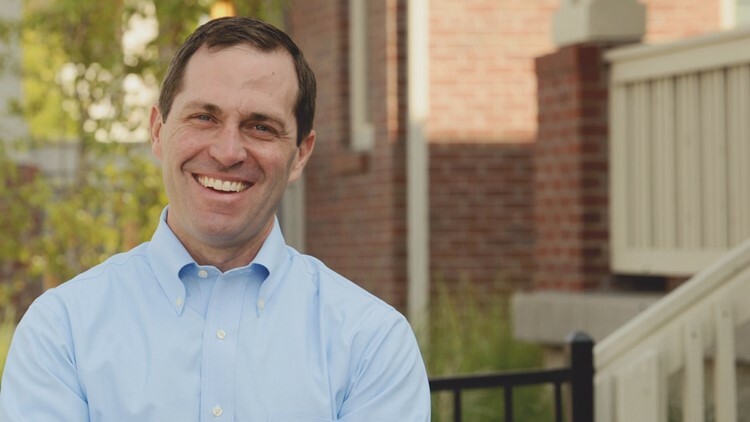 Jason Crow served in the Army's 82nd Airborne Division, where he led a platoon of paratroopers during the invasion of Iraq and earned the Bronze Star for his combat actions. He also served in the Joint Special Operations Task Force in Afghanistan. Jason is a leader who has always put selfless service above politics and isn't afraid to fith for what's right. As the recipient of the Secretary of Defense Medal for Exceptional Civilian Service, Representative Stephanie Murphy has been extremely influential in National Security and Armed Services policy. Not only is Stephanie a key supporter of Israel and maintaining its qualitative military edge, but she has dedicated part of her career to promoting safe access to reproductive care and the DOJ Violence Against Women Act programs. As a Vietnamese refugee herself, Stephanie is a strong advocate for refugees and immigrants in the U.S. Click here for more about Stephanie Murphy. Representative Val Demings has been a strong advocate for Israel and Choice in her short time in Congress. As the first ever African American to serve as Chief of the Orland Police Department, Val led a 40% drop in violent crime and has been an advocate for police safety, including gun safety, making her one of Florida’s foremost gun control advocates in congress. She is also dedicated to increasing high school graduation rates and making college for affordable for all Americans. 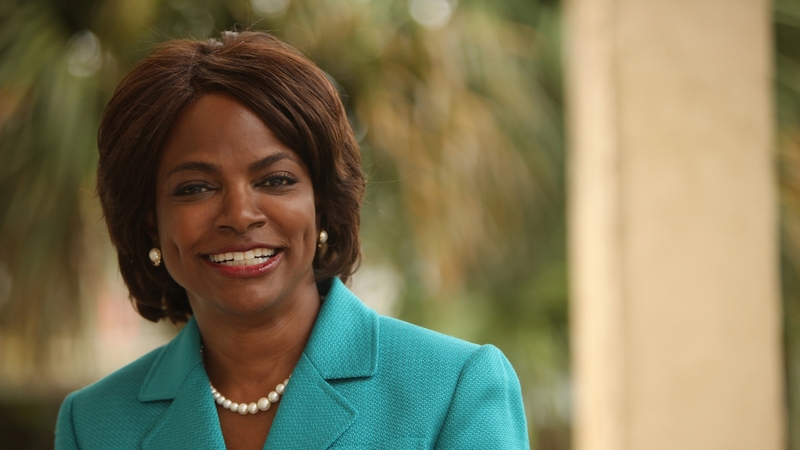 Click here for more about Val Demings. 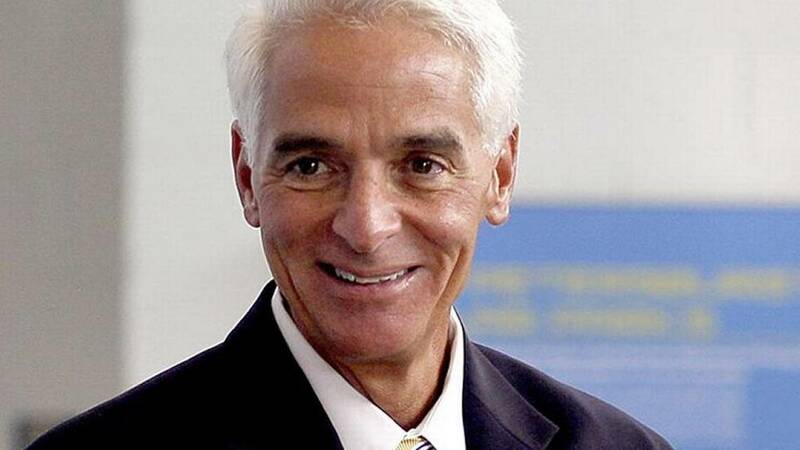 Representative Charlie Crist, former governor of the state of Florida, left the Republican party in 2010 because it was no longer consistent with his core beliefs. Since then, Charlie has been truly representative of the spirit of bi-partisanship, working with colleagues on both sides of the aisle to advocate for equal access for women’s quality, comprehensive healthcare and for support of Israel and it’s relationship with the U.S. Click here for more about Charlie Crist. Lauren Baer was raised in Florida's 18th District. She served in the Obama administration from 2011- 2017. She worked as senior advisor to Secretaries of State Hilary Clinton and John Kerry. She is a defender of freedom of religion and civil rights. She is pro-choice and is dedicated to breaking down gender discrimination, as well as an advocate for a strong U.S.-Israel relationship and to combating anti-Israel bias and anti-Semitism in the U.S. Click here for more information on Lauren Baer. Representative Debbie Wasserman Schultz has been one of JAC’s biggest allies throughout her time in congress. As a staunch supporter of the State of Israel, Debbie has been on the forefront of fighting for the rights of the Jewish State. As a member of the Pro-Choice House Caucus, Debbie has also been a longtime defender of women’s reproductive freedom. Click here for more about Debbie Wasserman Schultz. Donna Shalala has been a leading figure in politics for over two decades. After serving as President Clinton's Secretary of Health for 8 years, she has spent her time working hard to ensure a bright future for the next generation of Americans. Her efforts include standing up for women's reproductive freedom and healthcare equality. In 1994, she was part of the group that pushed the passage of the assault weapons ban. Click here for more about Donna Shalala. Abby Finkenauer will be a strong voice for JAC’s values if elected to Congress this fall. She has continuously voted against gun bills that put innocent people in danger. Additionally, she has, and will always, vote no to bills that are hostile to abortion and women’s reproductive right. Outside of the legislative floor, she has traveled to Israel and continues to support the peace efforts between Israel and Palestine. Representative Robin Kelly has been an activist her whole life, beginning her career fighting for social and economic justice, her main focus was eradicating urban food deserts in the state of Illinois. Now, as a Representative, Robin has pushed for the same agendas, including standing up to the NRA, fighting for women’s reproductive health through staunch support of the ACA, and working to strengthen relations between the U.S. and Israel. Click here for more about Robin Kelly. Representative Mike Quigley began his career in politics to help the environment, but soon found that there were significantly more issues that he was passionate about. Quigley is not only a strong advocate for Women’s Reproductive health, as well as a trusted ally to Israel, but he is one of Illinois foremost politicians fighting for sensible gun control. Quigley has introduced legislation to end family separation at the border and election security. Click here for more about Mike Quigley. Sean Casten is a respected scientist, clean energy advocate, and entrepreneur who has dedicated his career to building businesses that reduce greenhouse gas emissions. Casten is running for Illinois’s 6th congressional district, after criticizing both President Trump and his Republican opponent’s environmental policies that put millions of people’s lives and health at risk. Casten has promised to fight for every woman’s right to make her own reproductive health care decisions, and for affordable healthcare access for all Americans. Click here for more about Sean Casten. 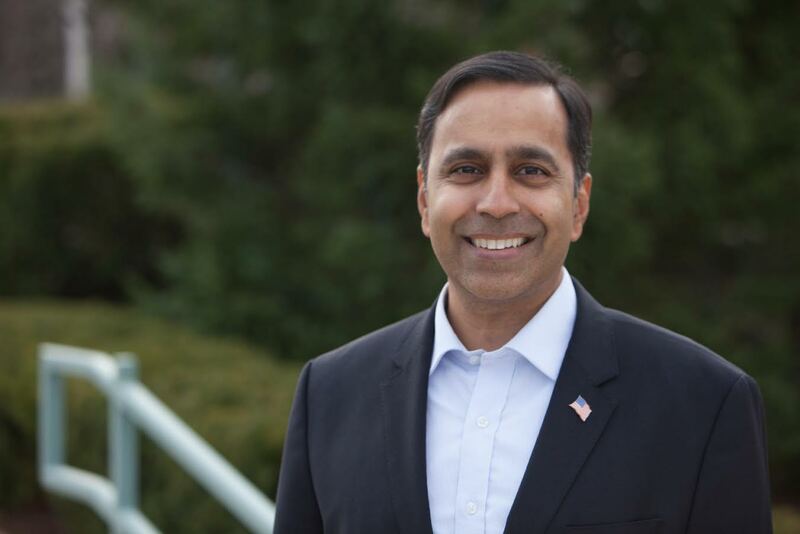 Representative Krishnamoorthi is dedicated to women’s reproductive freedom, seeing it as one of his key issues in supporting the disappearing middle class America. Raja is dedicated to supporting the strong U.S. relationship with Israel, seeing it as key to national security. Raja has also been a strong advocate for clean and renewable defense technology, starting his own non-profit, InSPIRE, that provides training on solar technology. Click here for more about Raja Krishnamoorthi. Representative Jan Schakowsky has been one of JAC’s greatest allies throughout her time in Congress. As the daughter of Jewish immigrants, Jan has staunchly supported Israel and has been a key pro-choice ally, supporting an end to Hyde Amendment restrictions. Jan’s top priority has been quality affordable healthcare for all Americans. Click here for more about Jan Schakowsky. Representative Brad Schneider has been an ally to Israel and to pro-choice Americans, being a fierce advocate for women’s reproductive freedom throughout his time in Congress. Brad is an active member of pro-Israel communities, being a strong supporter of the JUF and with it, Israel. Brad is a strong advocate of the LGBTQ+ community and has been instrumental in the drafting of progressive and sensical gun legislation. Click for more information about Brad Schneider. Brendan Kelly served in the United States Navy in many countries around the world, including Israel. He has witnessed firsthand the importance of a strong relationship between the U.S. and Israel, and how United States’ aid is used to promote peace and security in the Middle East. Kelly has previously served as the State’s Attorney for St. Clair County. Kelly has promised to protect a woman’s right to control her own health and life and is committed to fighting for access to quality healthcare. Click here for more about Brendan Kelly. 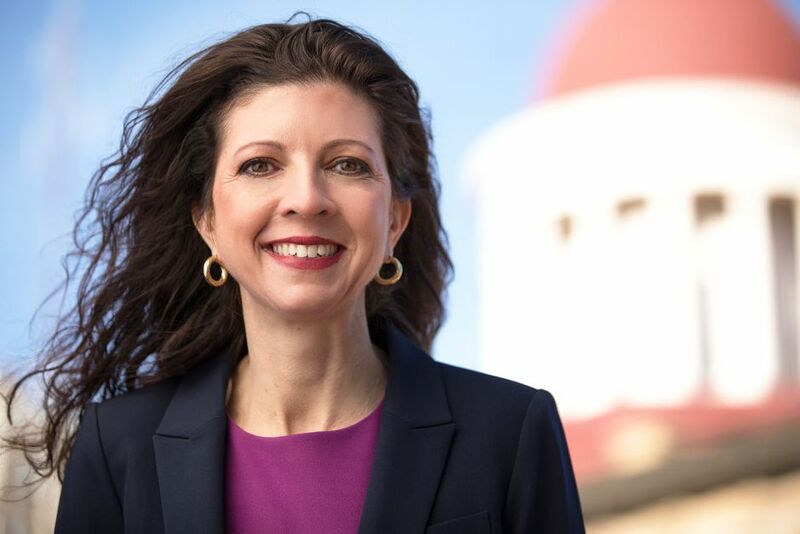 Betsy Dirksen Londrigan has been active in Democratic politics for over 20 years, and is now running for Illinois’s 13th congressional district. Dirksen Londrigan is deeply committed to fighting for access to affordable healthcare after her 12-year-old son faced a life-threatening illness. Dirksen Londrigan is a strong advocate for a two-state solution, and acknowledges Israel as an important ally of the United States. She is also endorsed by EMILY’s List, and is a passionate advocate for a woman’s right to choose. Click here for more about Betsy Dirksen Londrigan. Representative Cheri Bustos is a Sports Hall of Fame inducted basketball and volleyball player, meaning she knows the value of teamwork. Prior to her election to Congress, she was a journalist who wrote numerous stories on corruption and greed in government and has worked to push back against incidents while in office. Cheri has been an advocate for progressive policy backed up by bi-partisan support, understanding the value of reaching across the aisle. Cheri is a strong advocate for Israel and fighting for women’s healthcare is one of her top priorities. Click here for more about Cheri Bustos. Representative James Raskin is one of congress’s strongest supporters of the separation of religion and state noting that those in government swear an allegiance to the constitution, not to the bible. James has fought for women to be able to make their own health care decisions, earning him a 100% rating from Planned Parenthood. James is also a strong supporter of the State of Israel and has vowed to support it’s continued security. 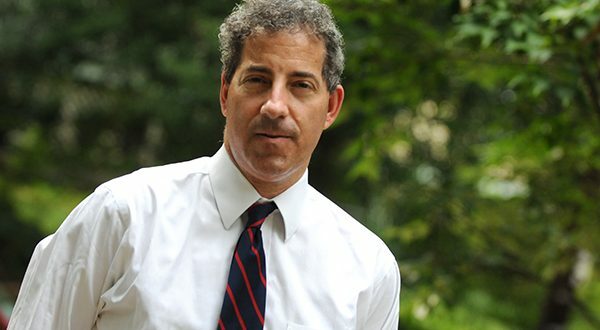 Click here for more about Jamie Raskin. First time candidate Elissa Slotkin has spent her career in Defense, working as Assistant Defense Secretary from 2015-2017 following a 5-year career in the CIA. In that time Elissa gained experience facilitating Israeli defense policy, reaffirming her support for Israel. Elissa even worked as a writer for a feminist center in Haifa, which reaffirmed her commitment to women’s reproductive rights and gained her an endorsement by Emily’s List. Click here for more about Elissa Slotkin. 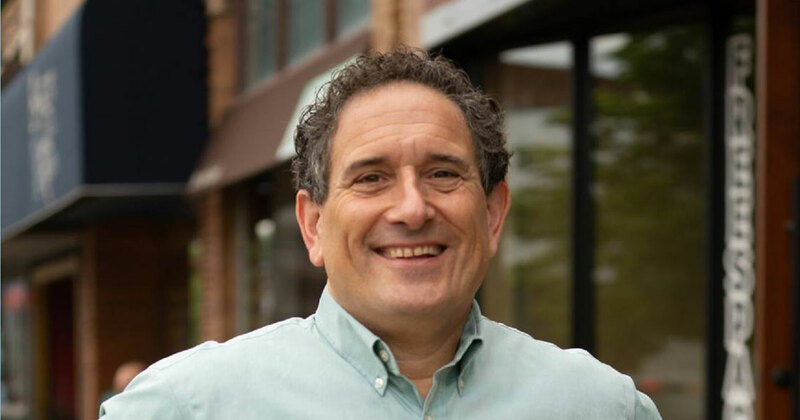 Andy Levin is the son of retiring Michigan congressman Sandy Levin, and he looks to take his dad’s old seat this coming fall. Raised in a Jewish family, he has always cared deeply about Israel. He is the president of his synagogue, and will take these passions for the Israeli state to Capitol Hill. If elected, he promises to turn the tide on the Trump administration’s attacks against women’s reproductive rights. Representative Debbie Dingell’s family has years of experience with congresspeople, her husband being former Congressman John Dinged Jr., but Debbie’s had amazing congressional success in her own right, sponsoring a variety of pieces of legislation. Debbie is a staunch supporter of Israel and an even bigger supporter of Women’s reproductive freedom, Founding the National Women’s Health Resource Center. Click here for more about Debbie Dingell. Kara Eastman is looking to flip a seat red to blue in a traditionally red Nebraska. As the daughter of a Jewish father, she understands the importance of an Israel that is safe and democratic for the Jewish people. She has also made it a priority to fight for women’s reproductive rights and sexual health education. In addition, she pledges her support to common sense gun legislation. Click here for more about Kara Eastman. Rep. Josh Gottheimer entered the political scene as the youngest speech writer in history for President Bill Clinton’s White House. Since then Josh has been a key ally on JAC issues. He strongly supporting Israel’s continued survival and strong relationship with the U.S. Josh has been unequivocally pro-choice, supporting safe access to all services at Planned Parenthood. Josh is strongly committed to job security and small businesses as well as strong infrastructure across the U.S. Click here for more about Josh Gottheimer. A Navy pilot and former federal prosecutor, Mikie Sherill is running for Congress to bring new leadership to Washington that will fight for a positive future in America. Mikie is committed to supporting Israel’s relationship with the U.S. and will fight for Roe V. Wade and sufficient funding for Planned Parenthood. Mikie is also a key advocate for gun violence prevention. 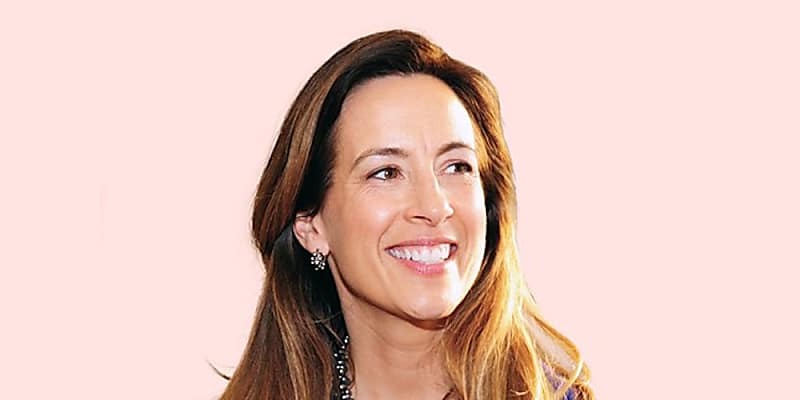 Click here for more about Mikie Sherrill. 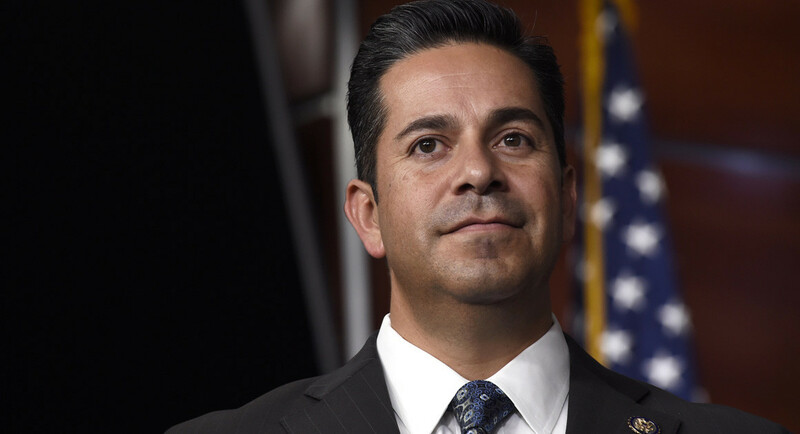 Rep. Ben Ray Lujan Jr. was raised on a family-owned farm in New Mexico, teaching him the value of natural resources and instilling in him a drive to fight against climate change. Ben is also a strong supporter of Israel and staunchly pro-choice, receiving 100% ratings from both Planned Parenthood and NARAL. In 2011, he founded the bipartisan Technology Transfer Caucus to bring together members who shared his goal of strengthening the American economy through moving technological innovation to the marketplace. Click here for more about Ben Ray Lujan. Susie Lee has been a committed community leader in Las Vegas for the past 20 years. She has served as the president of Communities in Schools of Nevada (CIS), the leading organization for school dropout prevention. She is the Founding Director of After-School All-Stars and is dedicated to improving the public education system. Susie is devoted to the fight for pay equality and immigration reform is a top priority for her. She is an advocate for national background check legislation and gun control. Click here for more about Susie Lee. Kathy Manning is a longtime friend of JAC, who firmly stands by our positions on choice, Israel, and separation. She was the first woman to chair the Jewish Federation of North America, and has vocalized her commitment to a strong U.S.- Israel relationship. She also passionately believes that women should make their own reproductive decisions. Click here for more about Kathy Manning. Steven Horsford is looking to return to the seat he held from 2013-2015. He lost his father to gun violence when he was young, and made it a mission of his that people feel safe from gun violence in our communities and schools. He is also a strong proponent of women's reproductive rights, and strongly believes in Israel's right to exist and supports a continued vibrant U.S.-Israel relationship. Click here for more about Steven Horsford. Medeleine Dean is looking to transition from State Representative to the U.S. House of Representatives. If elected, she will bring a strong voice for JAC's values to Washington. She has pledged her unequivocal support to women in the fight for reproductive rights. She also stands with Israel and vows to vote for legislation that secures the safety of Israel. She has also co-founded a gun safety group following the school shooting at Sandy Hook, and is committed to gun violence prevention. Click here for more about Madeleine Dean. Mary Gay Scanlon is a promising candidate who looks to turn heads if elected to Congress in November. As a former attorney, she understands the importance of legal precedence. She has cited many important landmark Supreme Court cases to support JAC’s core ideals of protecting women’s reproductive rights and the separation of church and state. She vows to continue the fight for those rights in Washington D.C.
Chrissy Houlahan is a former Air Force officer and daughter of a Holocaust survivor, whose ideals align with JAC’s core beliefs. Her cousin-in law was one of the EMTs responding to the Sandy Hook tragedy, so she has a personal connection to the gun violence epidemic. She wants to push for common sense gun legislation, as well as ensuring that women’s health care decisions are made between her and her doctor. Click here for more about Chrissy Houlahan. Susan received her B.A. from American University and her J.D. from George Washington University, and went on to work as an attorney. She supports a strong U.S.- Israel alliance, and a two-state solution. She also is committed to fighting for a woman’s right to choose. In addition to her support for women’s rights, and for Israel, she would like to see change regarding the gun violence plaguing our nation. She seeks to do this through an assault weapon ban and background checks. Click to learn more about Susan Wild. Representative David Cicilline was the first openly gay mayor of a U.S. State Capital, breaking major barriers for the LGBTQ+ community. David has since been a advocate for progressive civil rights policy and the “Make it in America” agenda, encouraging American made goods. Cicilline was a founding member of Mayors Against Illegal guns with NYC Mayor Michael Bloomberg and is staunchly pro-choice and pro-Israel. 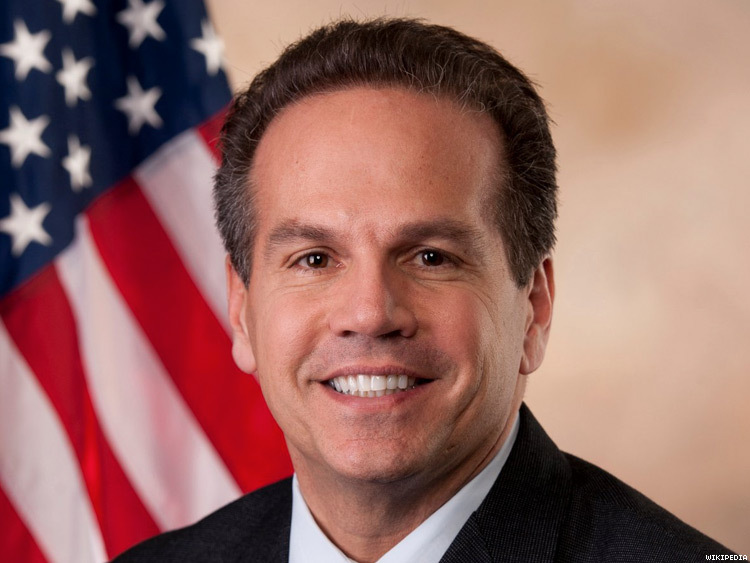 Click here for more about David Cicilline. Representative Joaquin Castro is proud to be part of a new class of Latino leaders emerging across the country, being named one of the top 50 politicians to watch in the U.S. He feels that he is truly representative of the American dream, as a second generation American. Joaquin wants to continue this legacy building what he calls the Infrastructure of Opportunity, focusing on the American school system and healthcare system. Joaquin is a key ally on women’s reproductive care and defends U.S. support of Israel. Click here for more about Joaquin Castro. 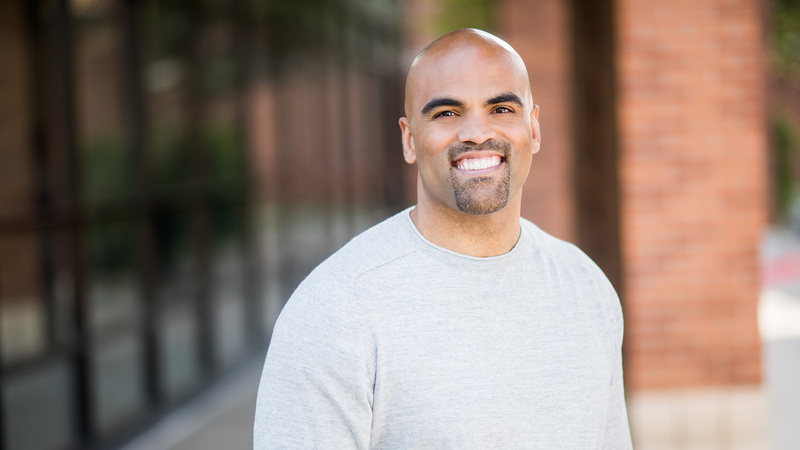 Colin Allred is looking to flip a north Texas district to blue this coming November. As a successful civil rights lawyer, he understands the importance of a fight for rights in such a divided time. He stands by Planned Parenthood, and swears to combat violence against women. He also promises to help protect the U.S. – Israel relationship from outside threats, such as Iran. Domestically, he wants to protect our everyday life from the threat of gun violence. Elaine Luria served in the U.S. Navy for 20 years and reached the rank of commander. After retiring from the military in 2017, she founded an arts and crafts business. Elaine will use her experience in the Navy and as a small-business owner to protect our country and create an economy that works for everyone – not just those at the top. She is a pro-choice champion committed to expanding access to affordable, quality health care. Elaine is a strong advocate for women’s rights, and also strongly believes in a ban of assault weapons. Click here for more about Elaine Luria. 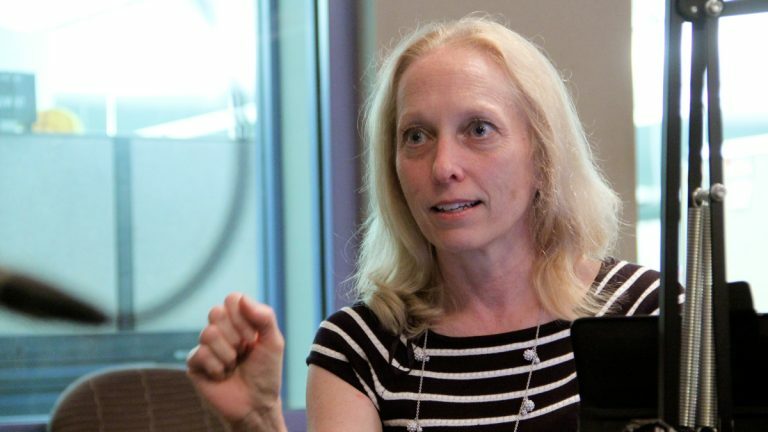 Abigail Spanberger is former CIA operative who brings a special viewpoint to politics. As a former federal agent, she carried a gun with her to work. She wants to promote responsible gun ownership, while also promoting common sense gun legislation. She also has vast experience in foreign affairs. Her deep understanding of the Middle East makes her a much needed asset in the fight for a safe Israel – free from the threat of nuclear Iran. 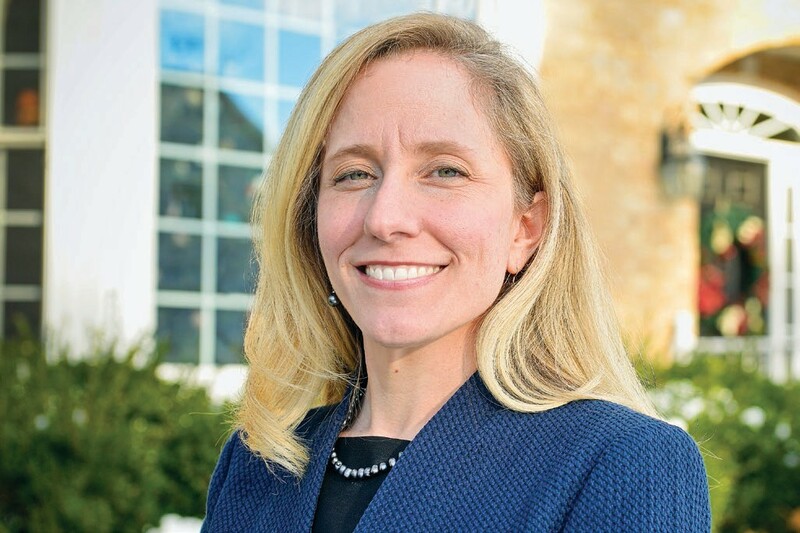 Click here for more about Abigail Spanberger. 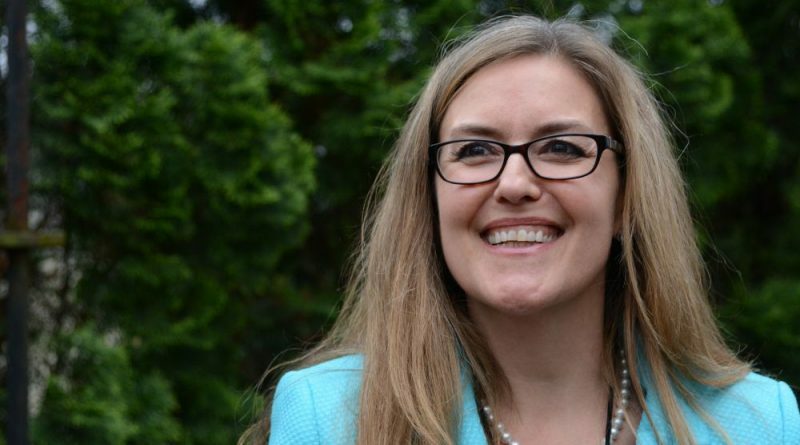 Jennifer Wexton served almost two decades, as a prosecutor, an advocate for children, and as a legislator focusing on issues of concern to families. In Congress, Jennifer will be a true advocate for women. She will support legislation that expands women’s access to quality, affordable healthcare, family planning services, and contraception, establishes paid family and medical leave programs, ends violence against women, promotes women’s involvement in STEM and political fields, and ratifies the Equal Rights Amendment in the U.S. Constitution. Dan Kohl is a non-profit and business leader with a record of getting things done. In Congress, Dan will be an independent voice, pledging to work with Democrate and Republcans to solve our country's most pressing problems. He will fight efforts to strop away protections for people with pre-xisting conditions and guarantees that health insurance pland include coverage for pregnancy, newborn care, mental health care, and addiction treatment. Click here for more about Dan Kohl.